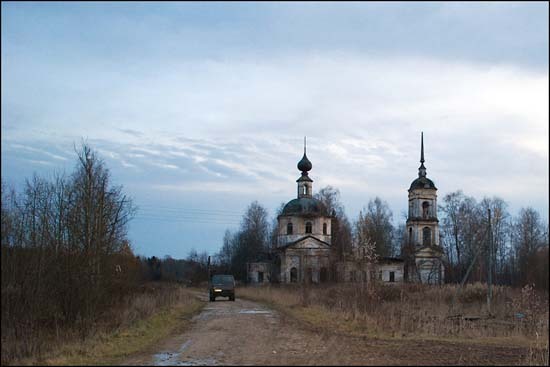 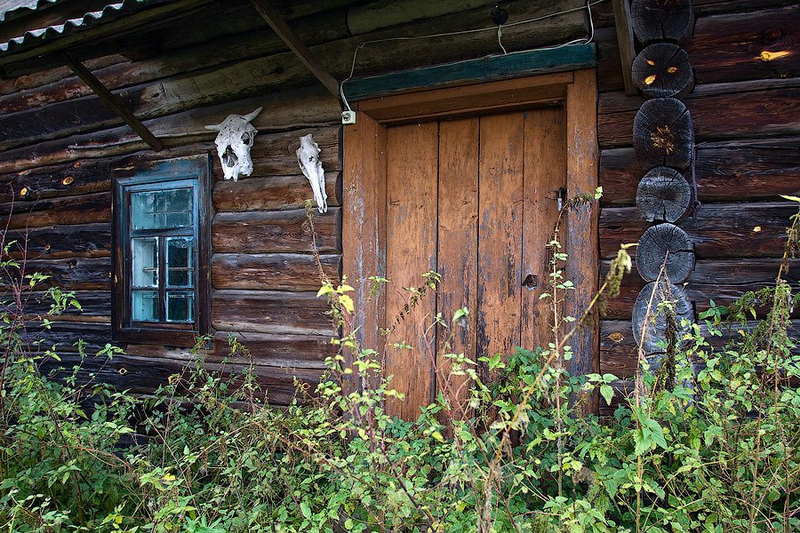 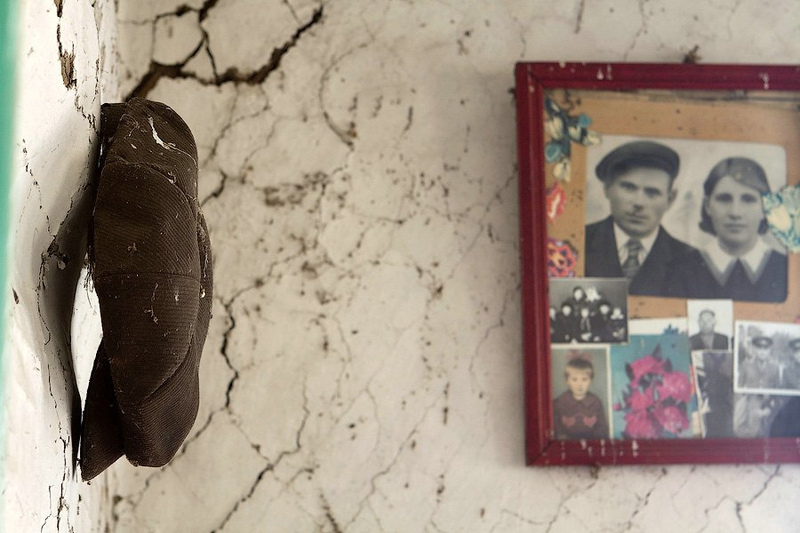 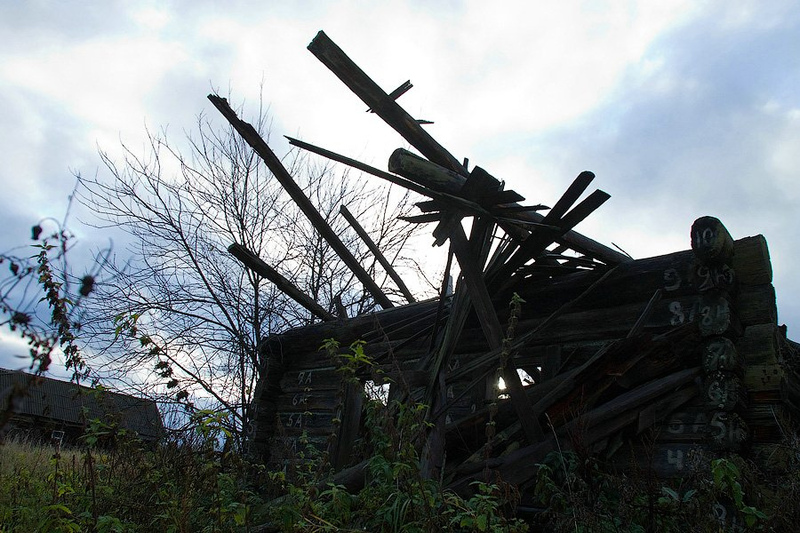 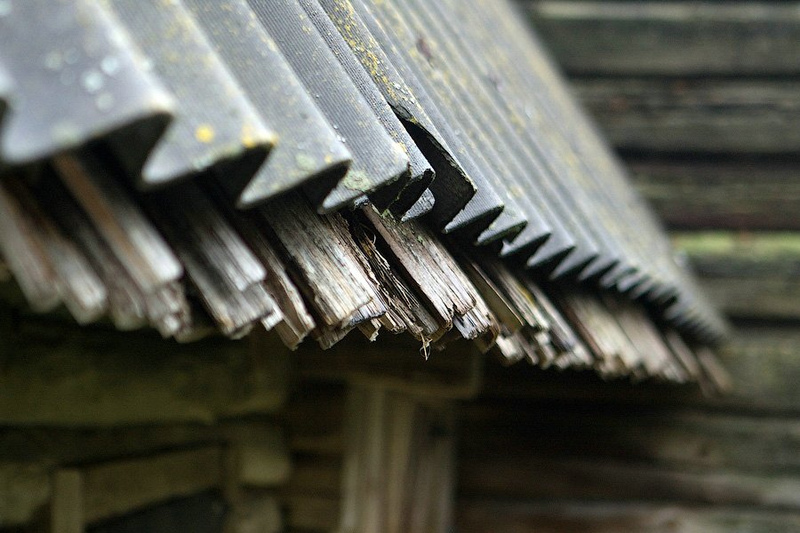 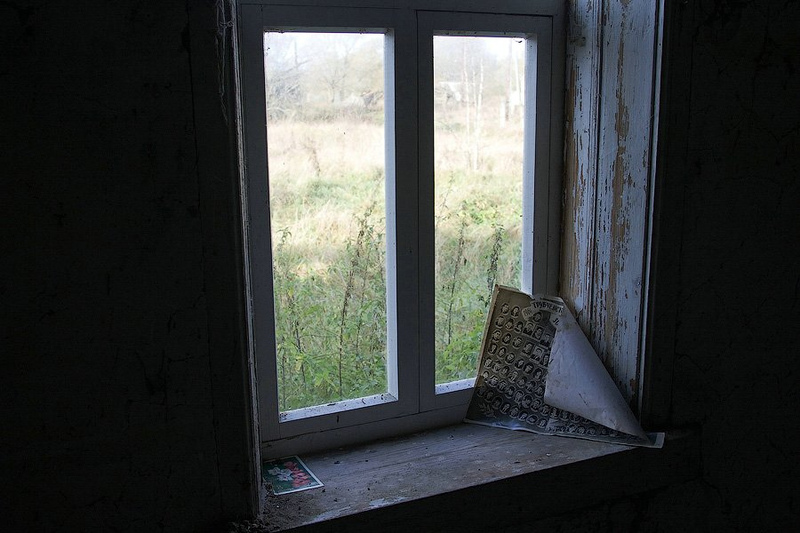 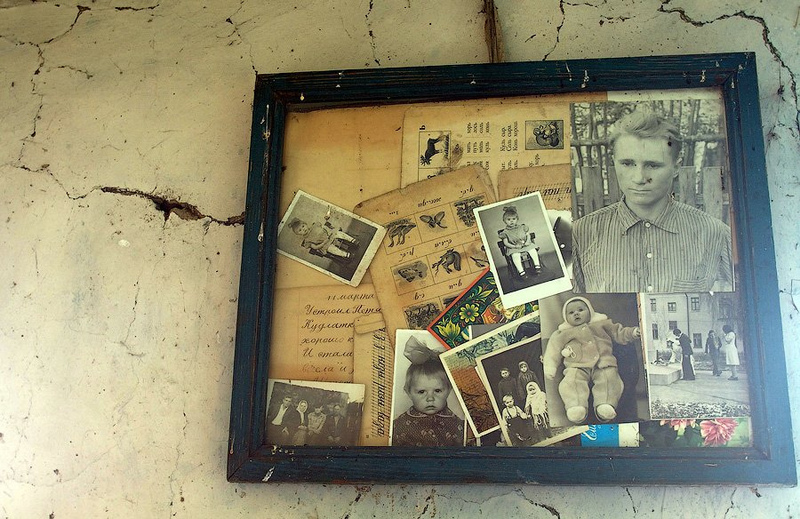 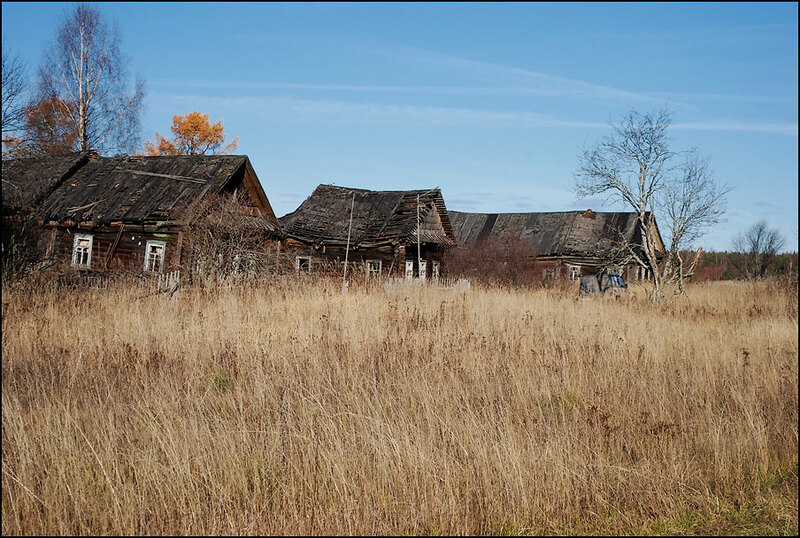 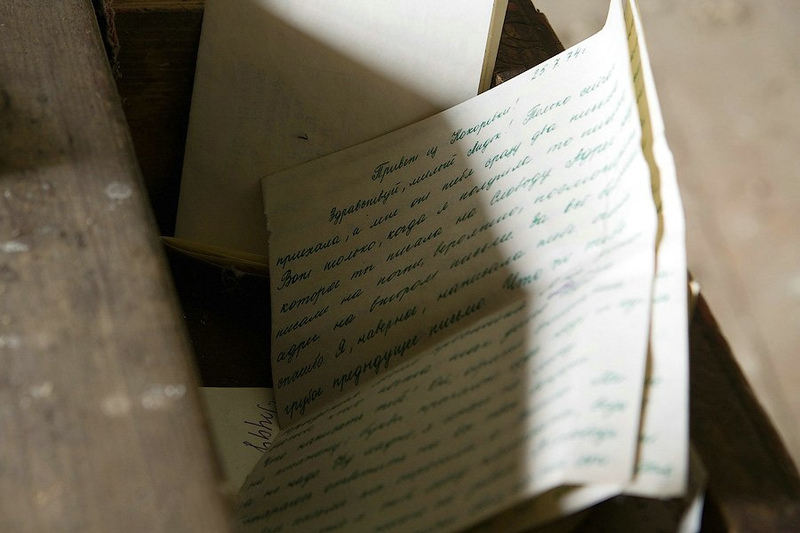 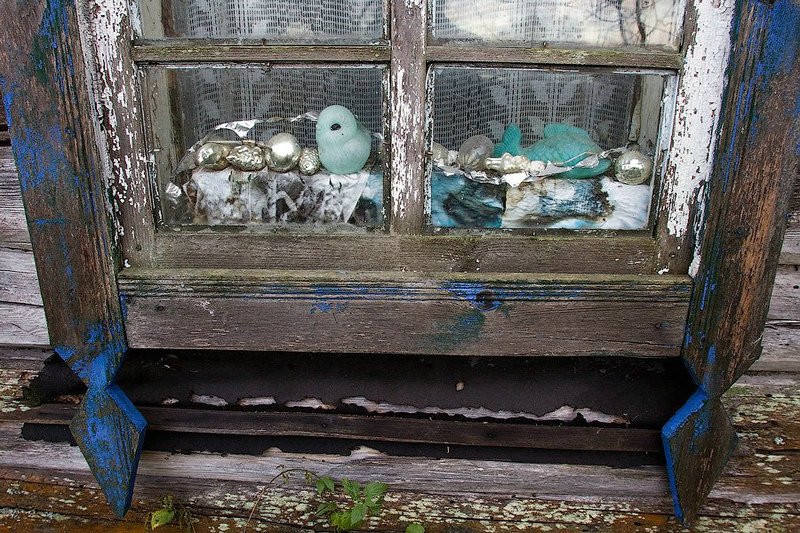 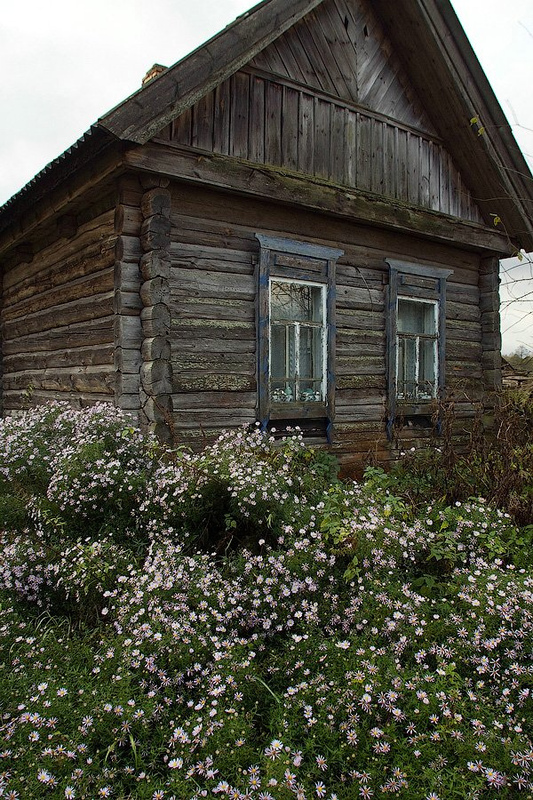 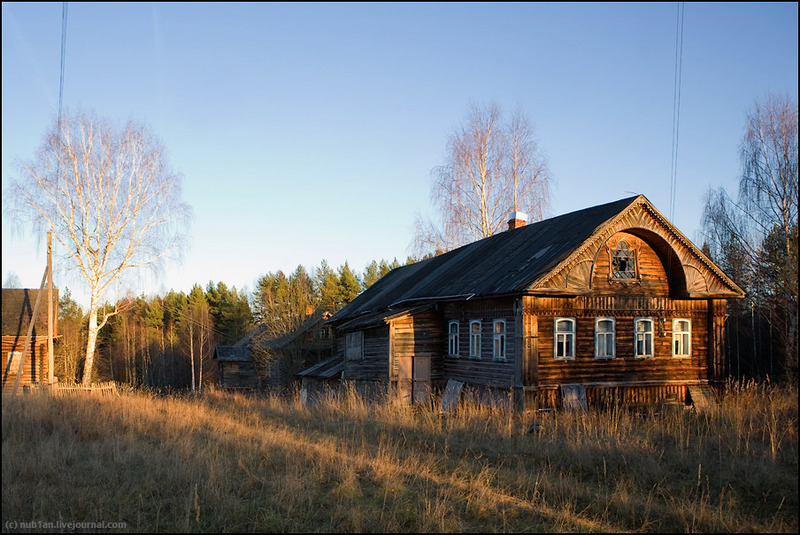 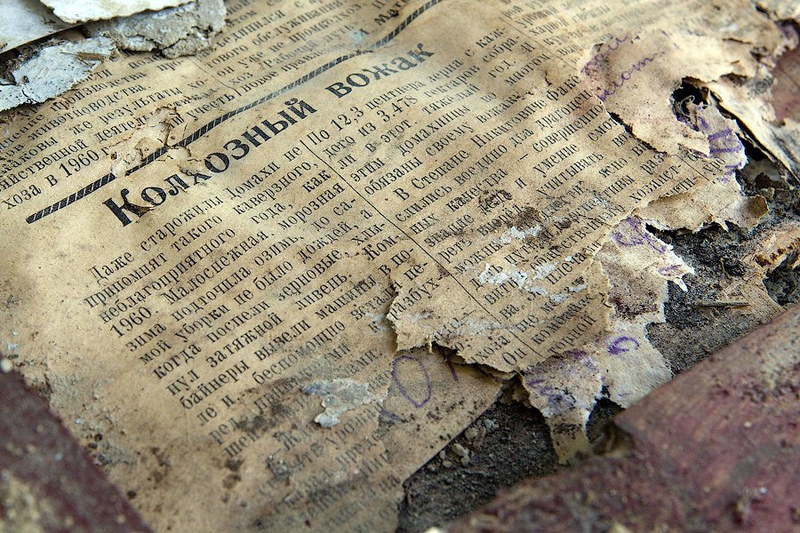 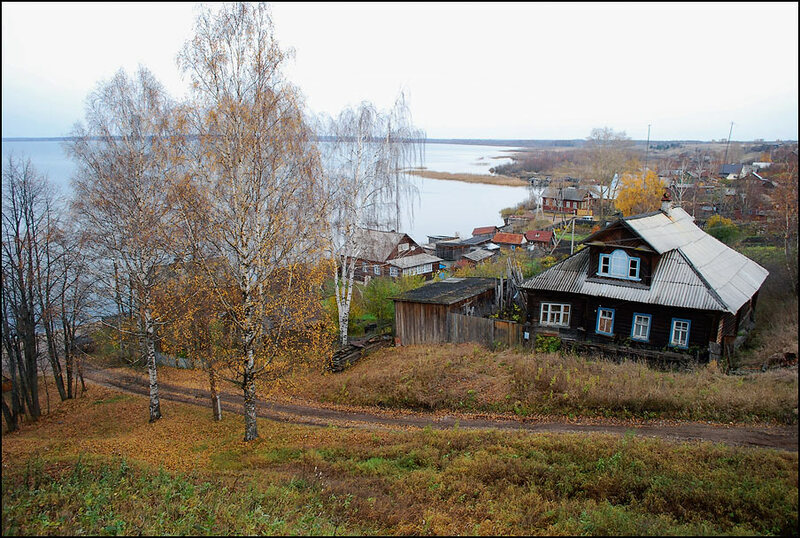 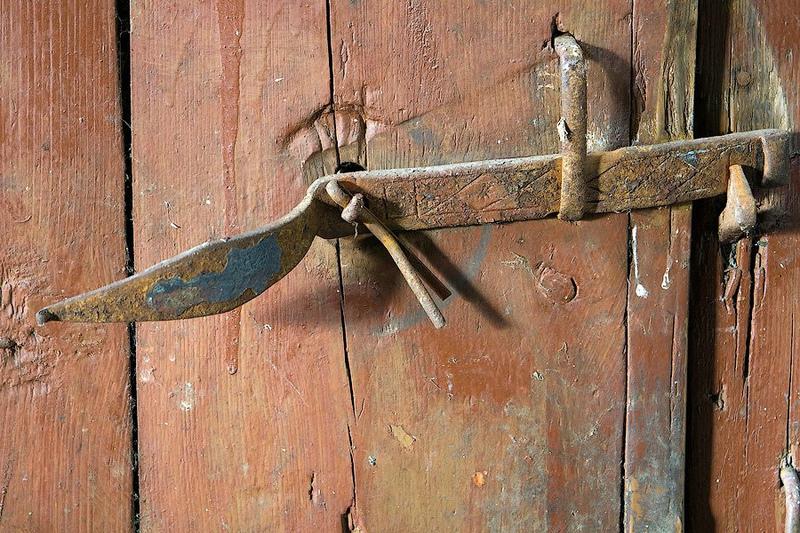 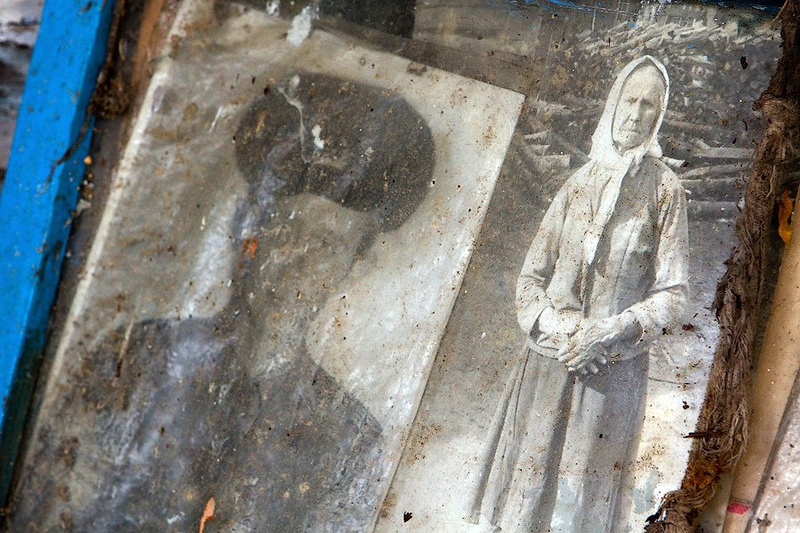 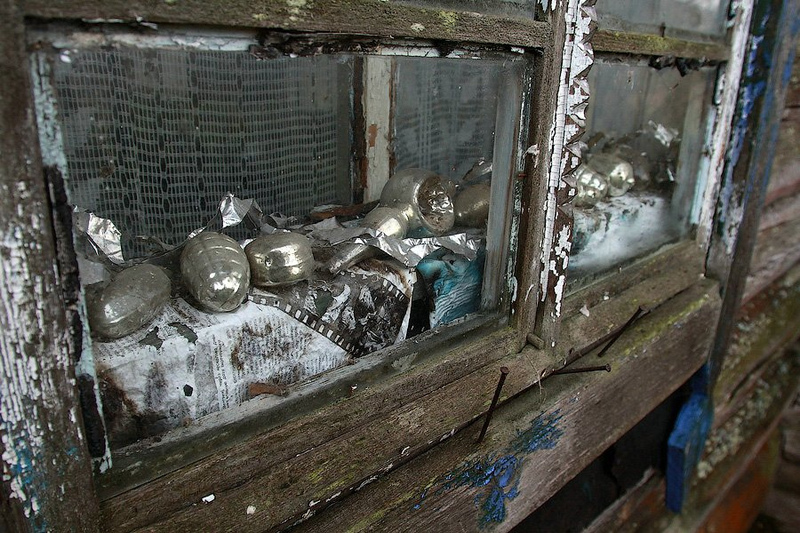 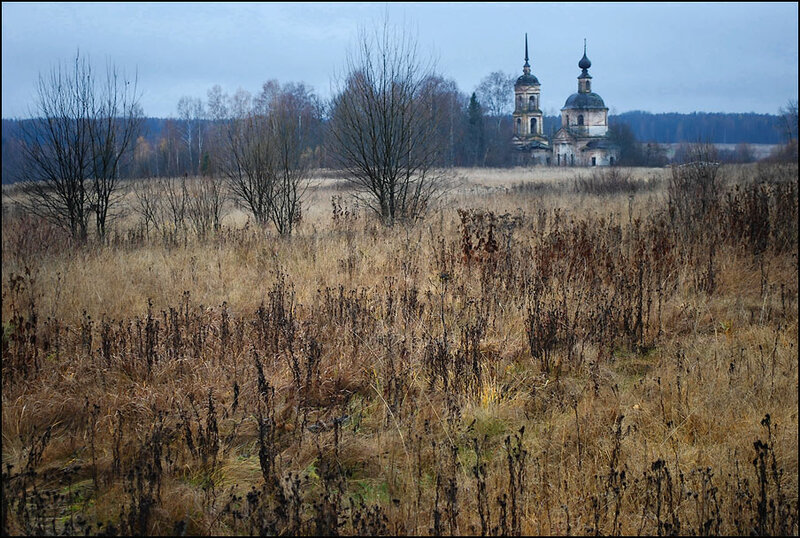 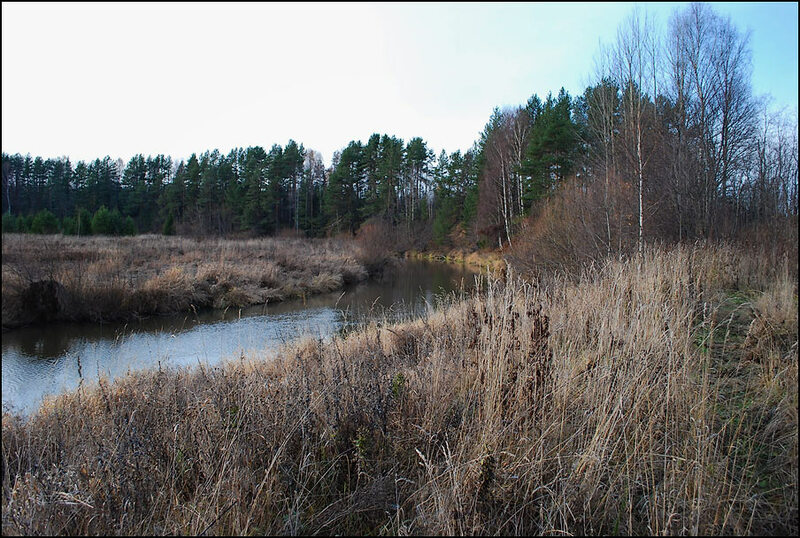 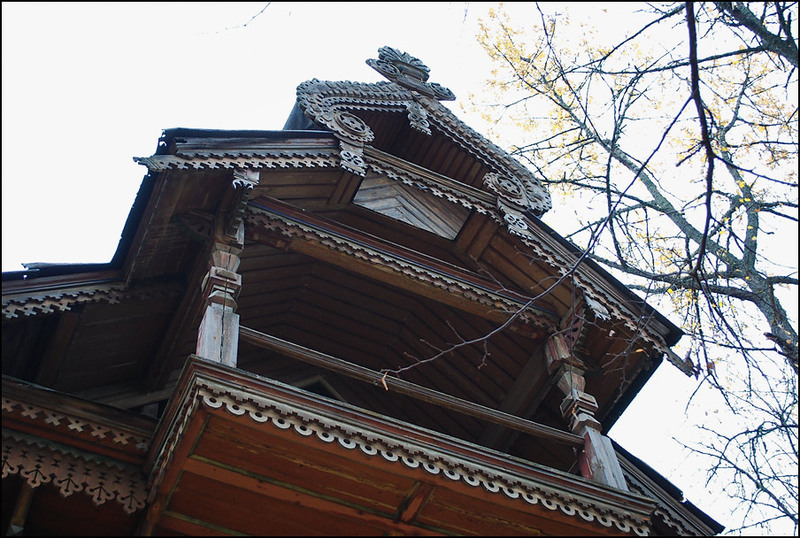 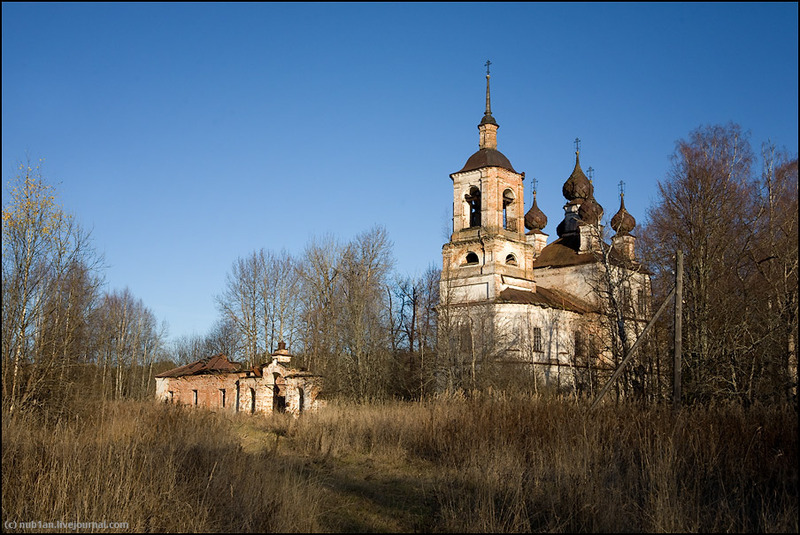 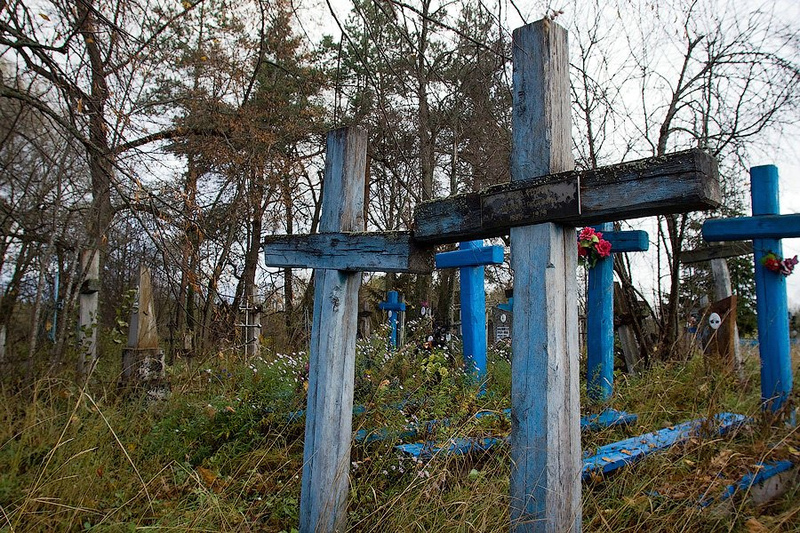 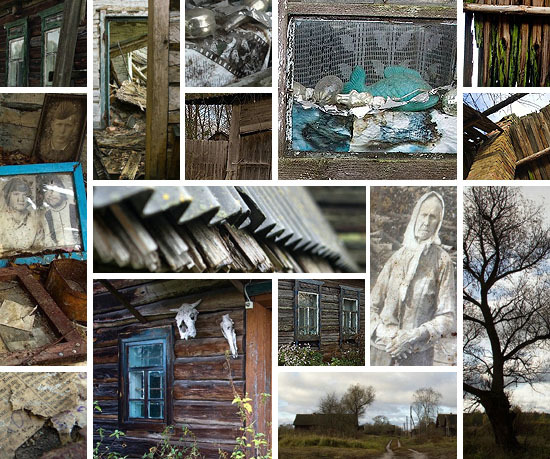 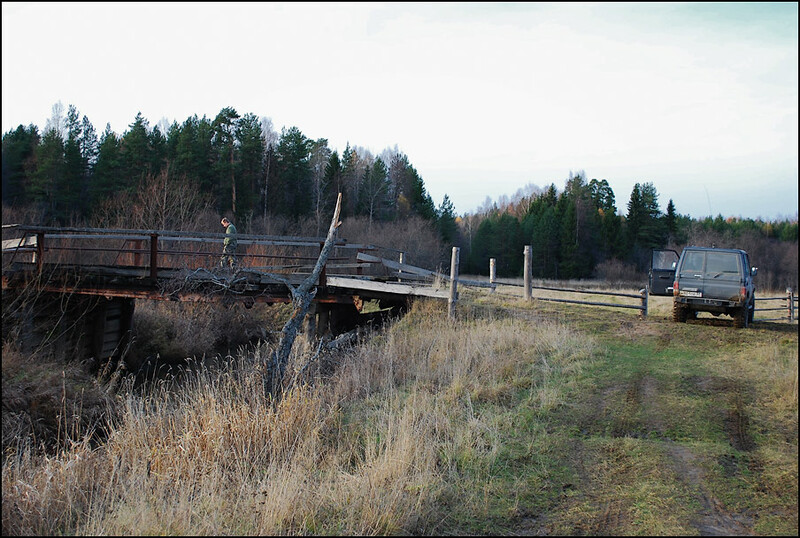 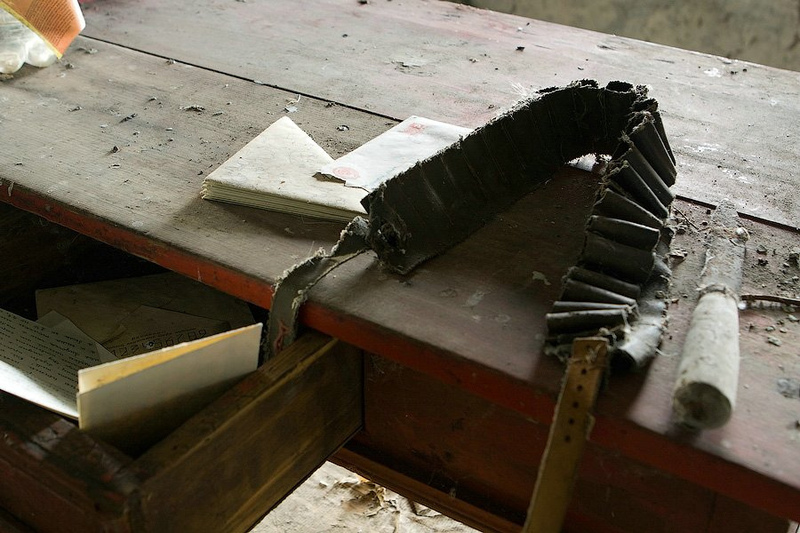 I wanted to write just a short post on those villages in Kostroma province where the Black Ethnographer is gathering his photo findings in the abandoned houses. 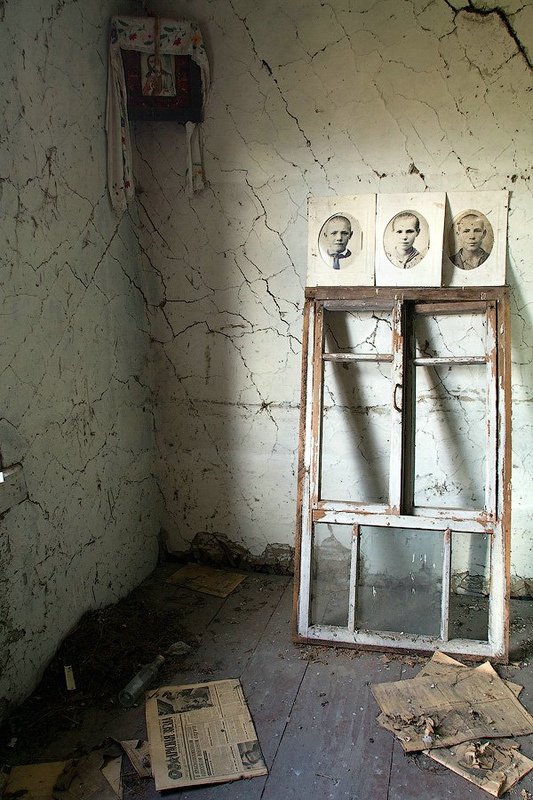 But as I was reading about them, the topic was gradually increasing and the accents were relocated. 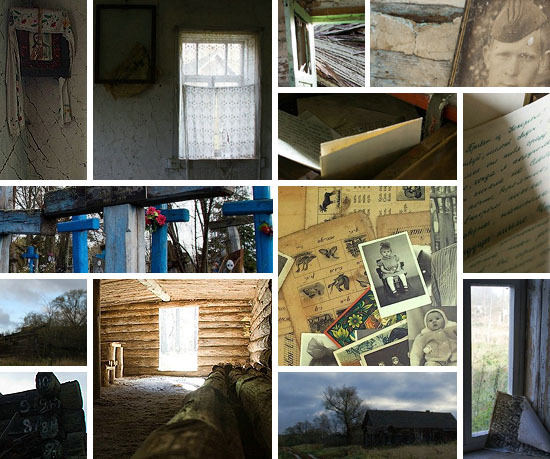 This is how a short post turned into a couple of long ones. 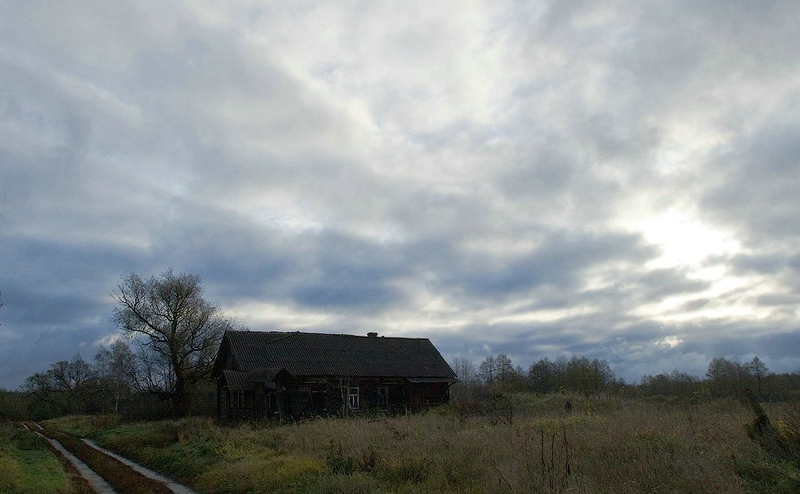 In this first one, as an atmospheric introduction, I only quote from two photo blogs which approach the Ethnographers’s subject from two different sides. 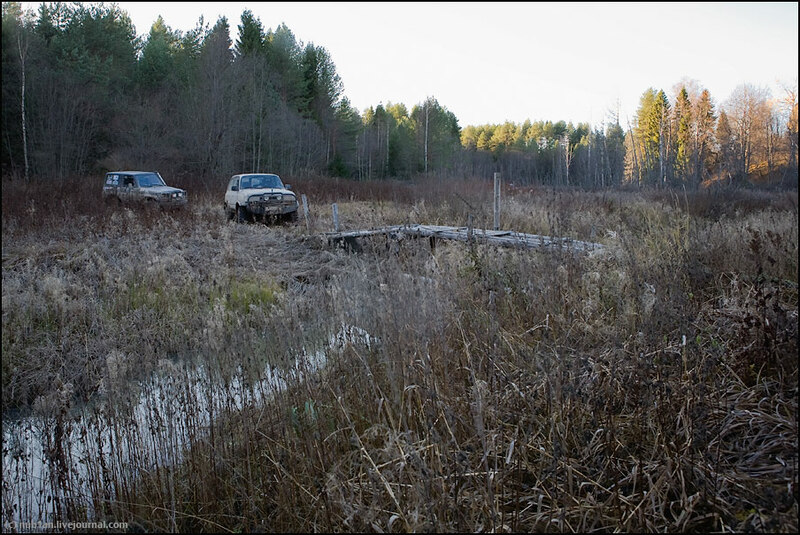 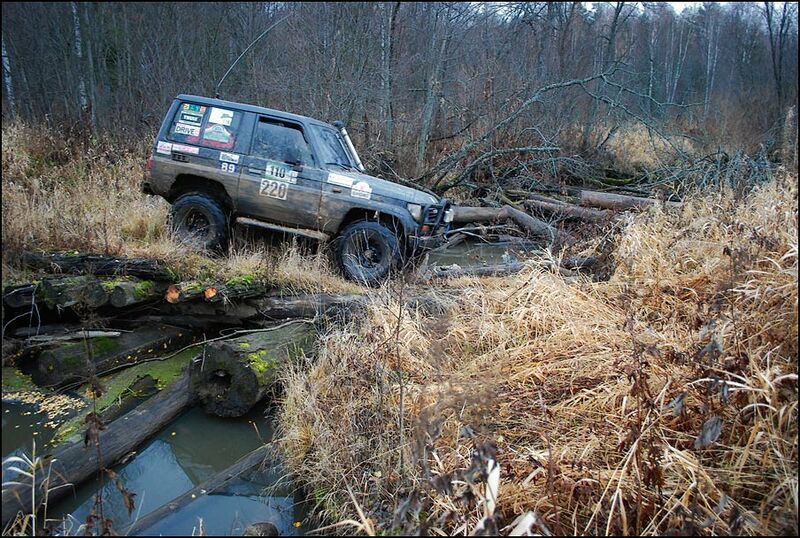 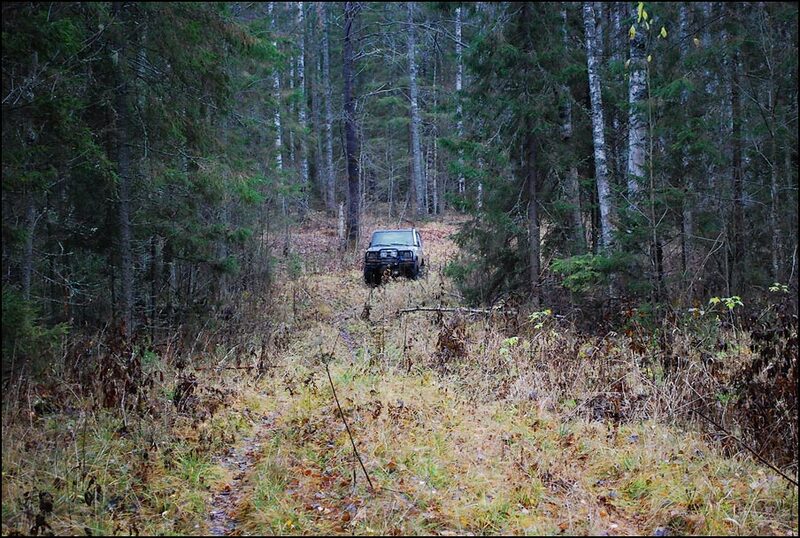 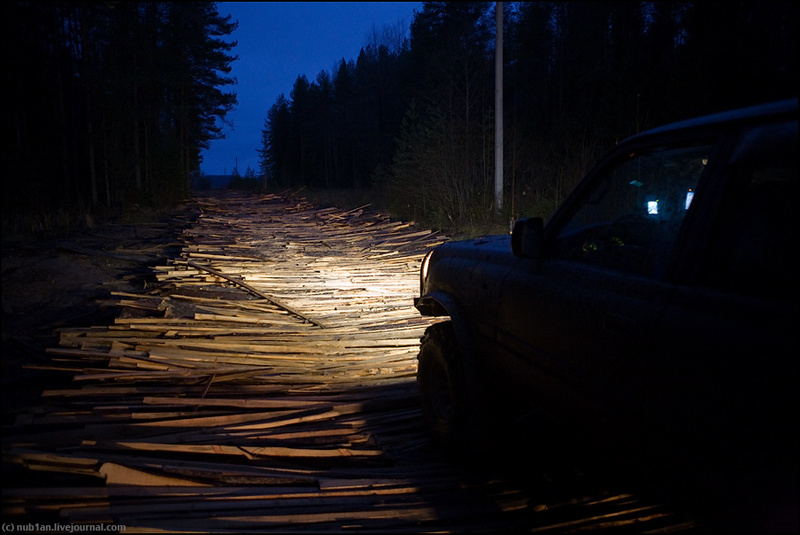 In the first one nub1an crosses in a jeep the region where the Ethnographer is gleaning, the surroundings of Chukhloma village in Kostroma, exactly five hundred kilometers from Moscow to the north-east and only about three hundred more from the already seen dying villages around Kich, that is in their neighborhood on a Russian scale. 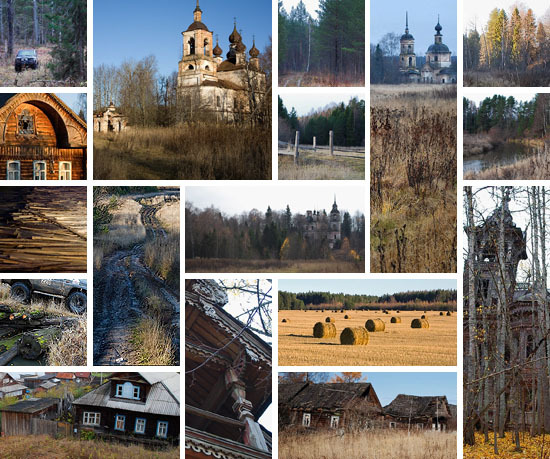 He is just passing through, does not stop anywhere for longer, and his photos mainly give a general impression on the abandonment of the northern Russian countryside, but among the wooden houses of the decaying villages and hamlets and the ruined churches of the already perished ones there will be one or two which we will also see in the posts of the Ethnographer. 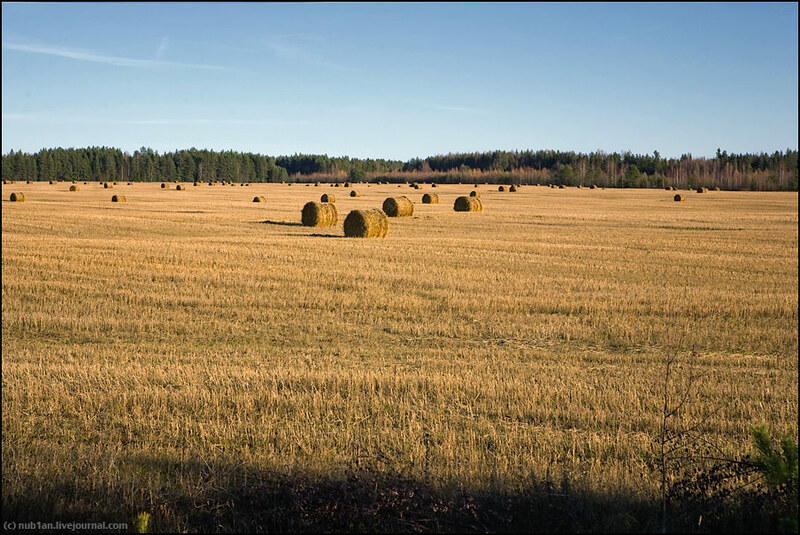 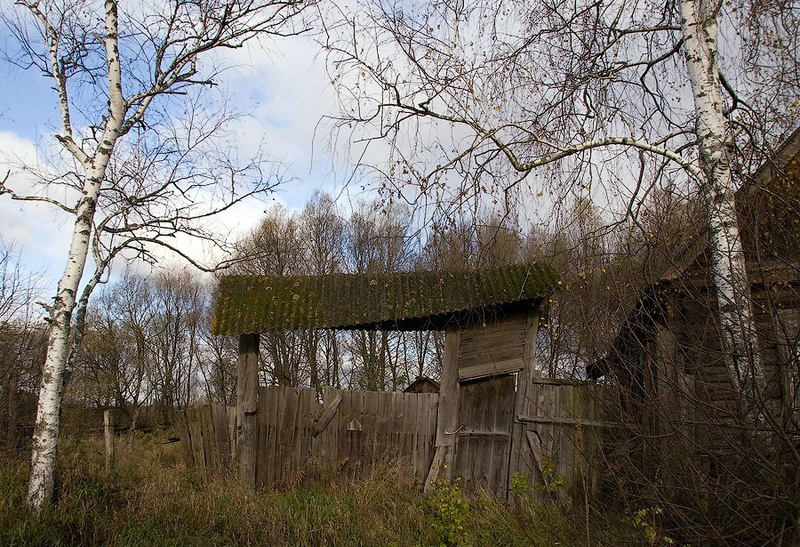 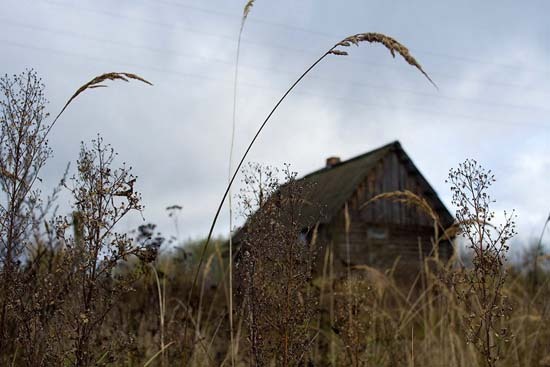 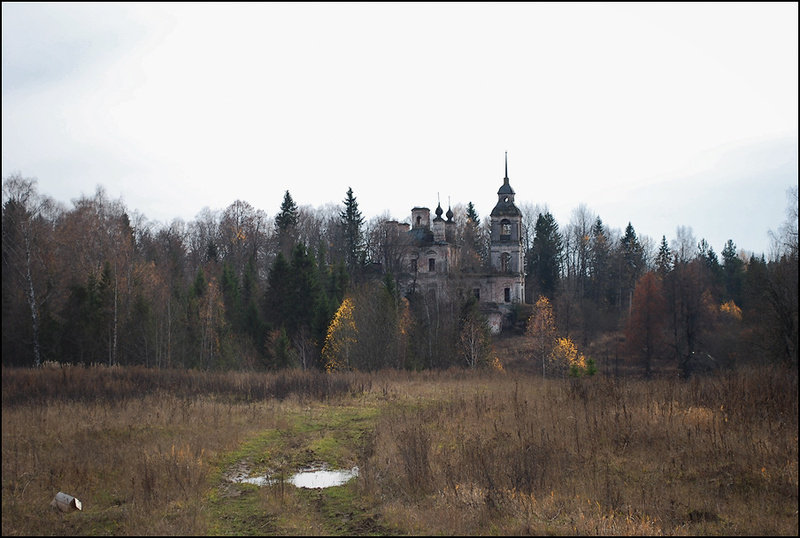 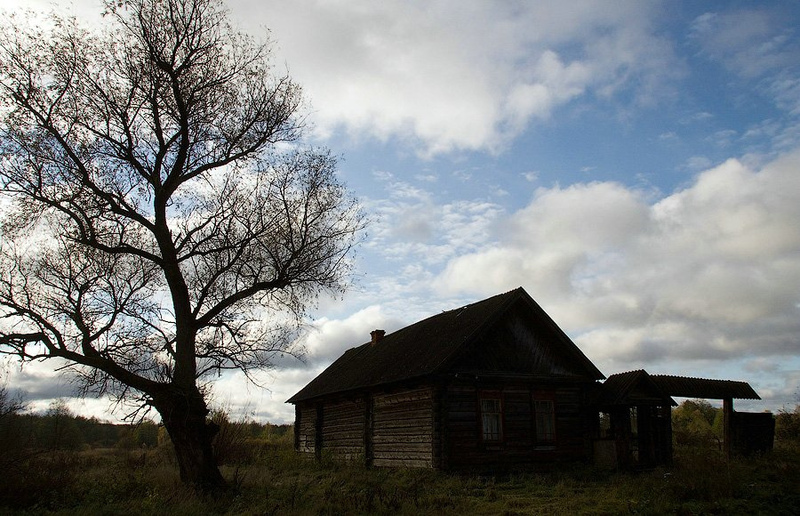 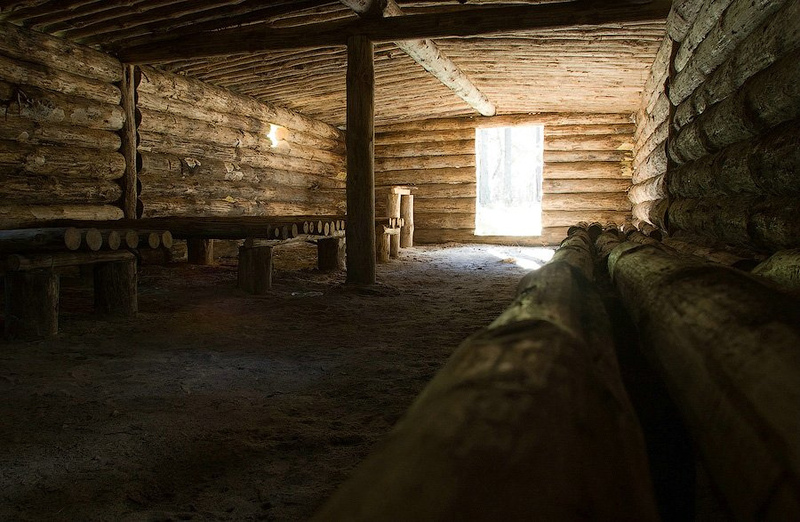 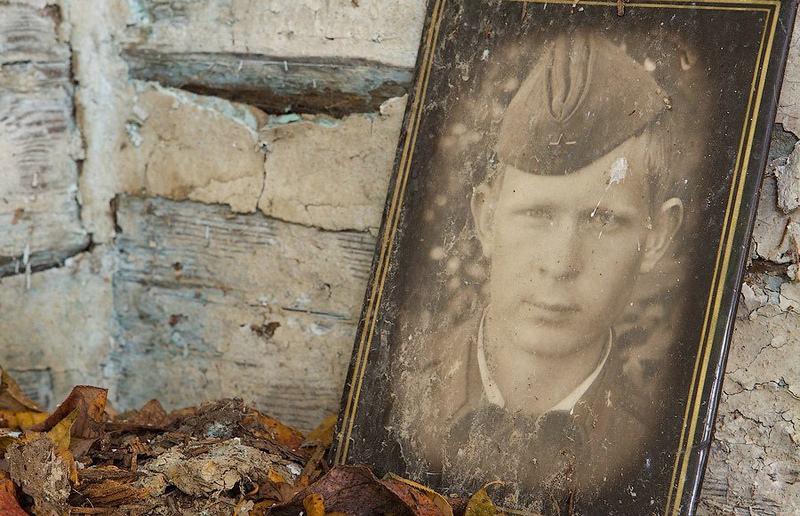 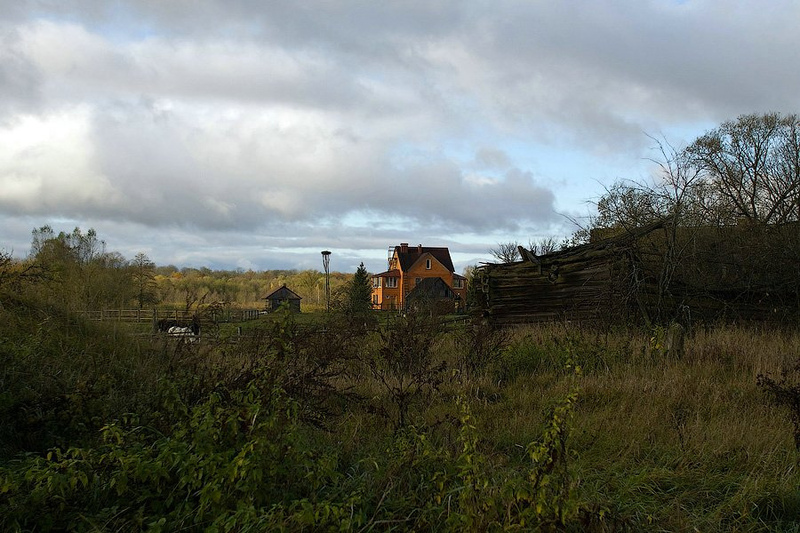 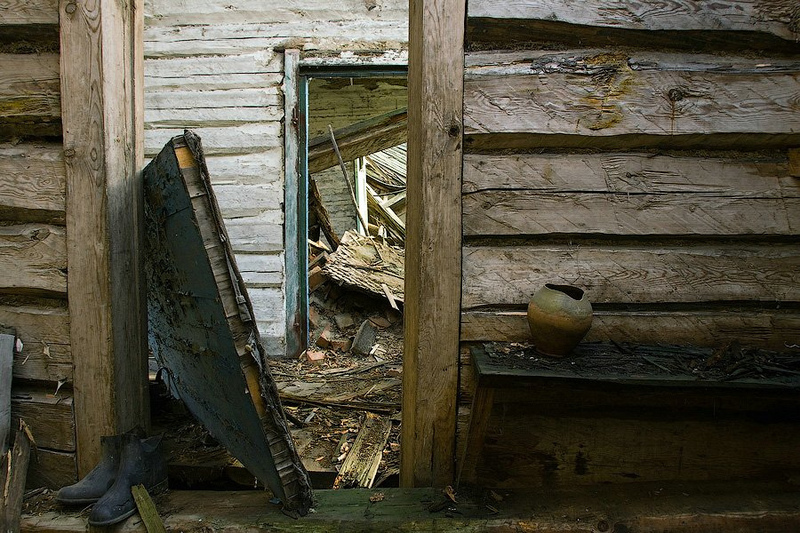 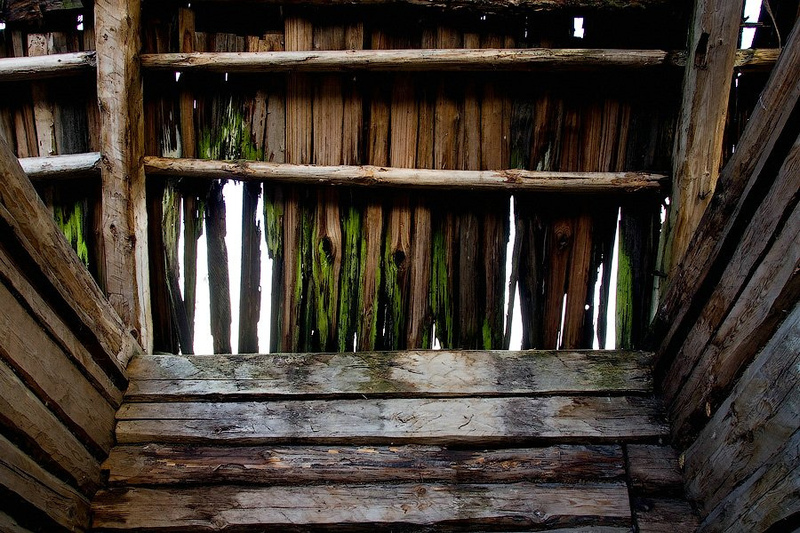 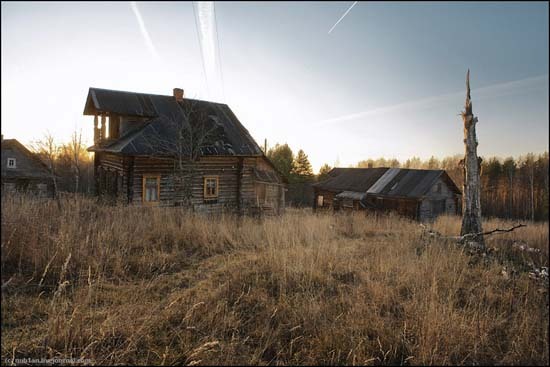 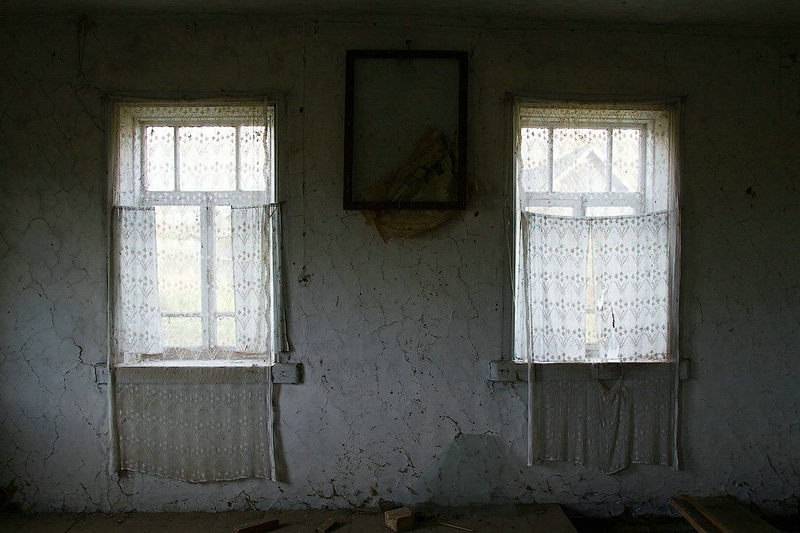 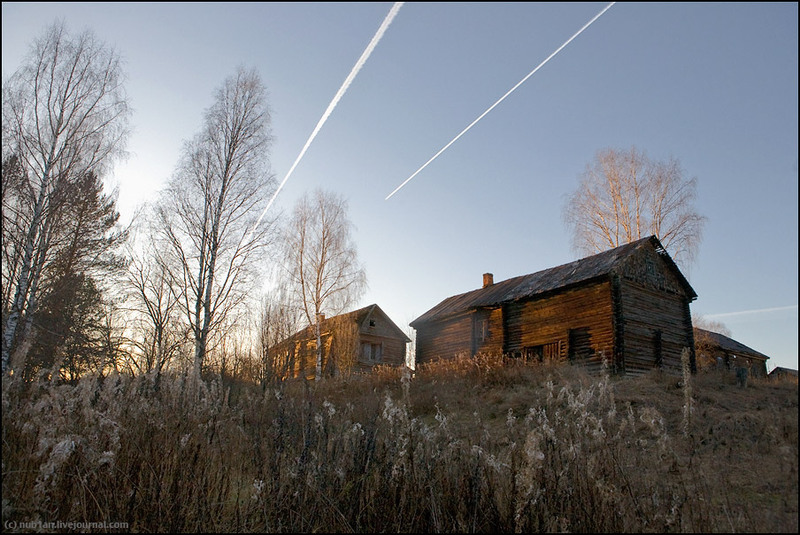 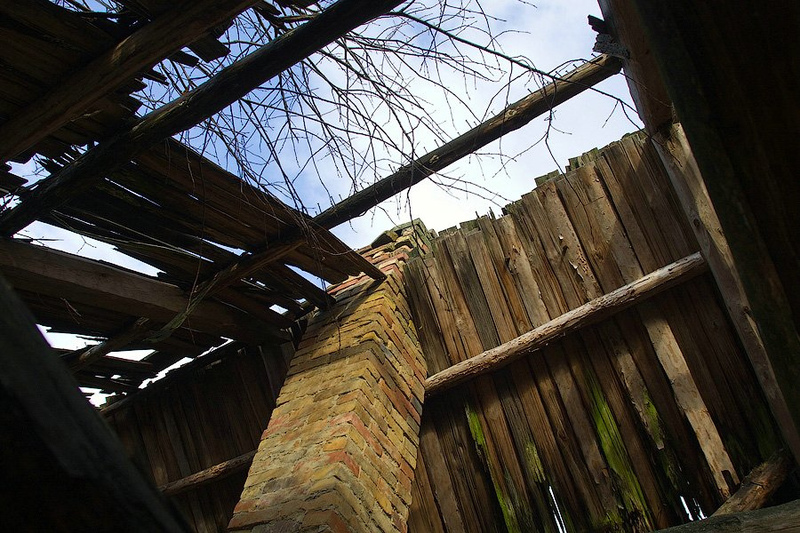 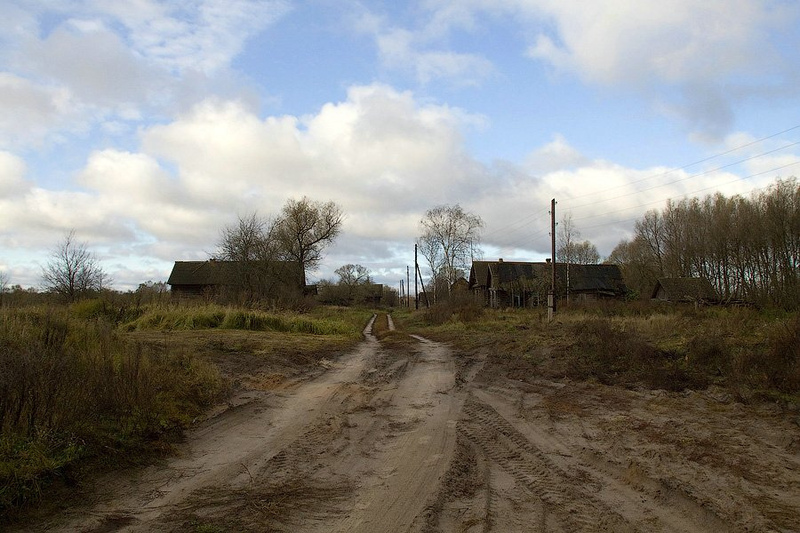 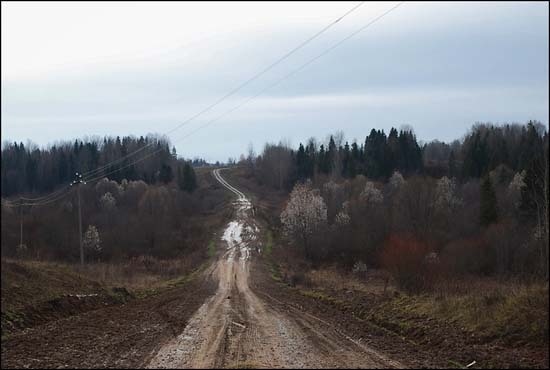 The second entry is Igor Podgorny’s photo series on the houses of the abandoned village of Chukrai, again exactly five hundred kilometers from Moscow, but in the opposite direction, to the south-west, in Bryansk province, at the Ukrainian border. 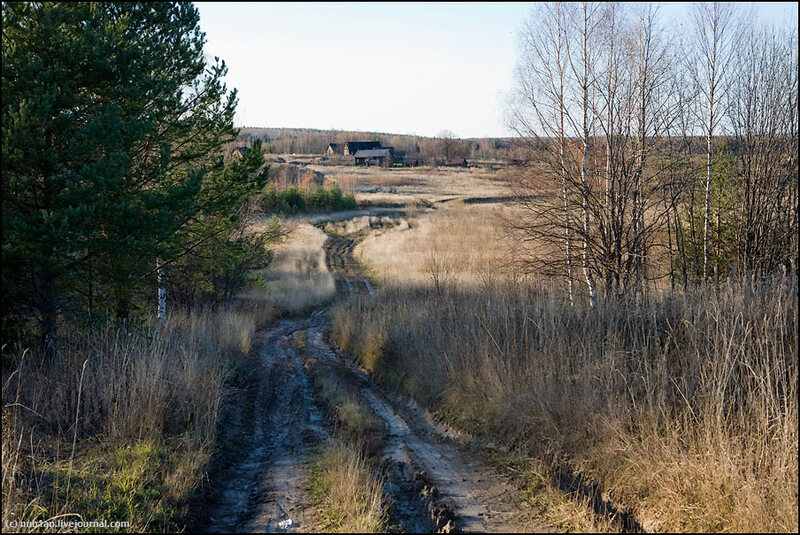 The map of Yandex shows well the location of the two villages at a distance of exactly 1000 kilometers from each other, and also the fact that the mass depopulation of villages is not only a problem of the Russian North. 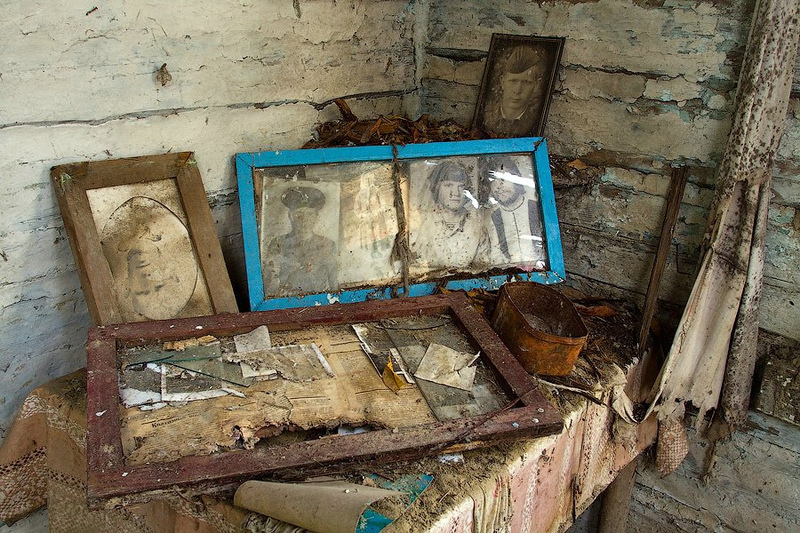 Igor’s images are also interesting, because they represent in situ the photos which the Ethnographer already shows in an ordered collection. 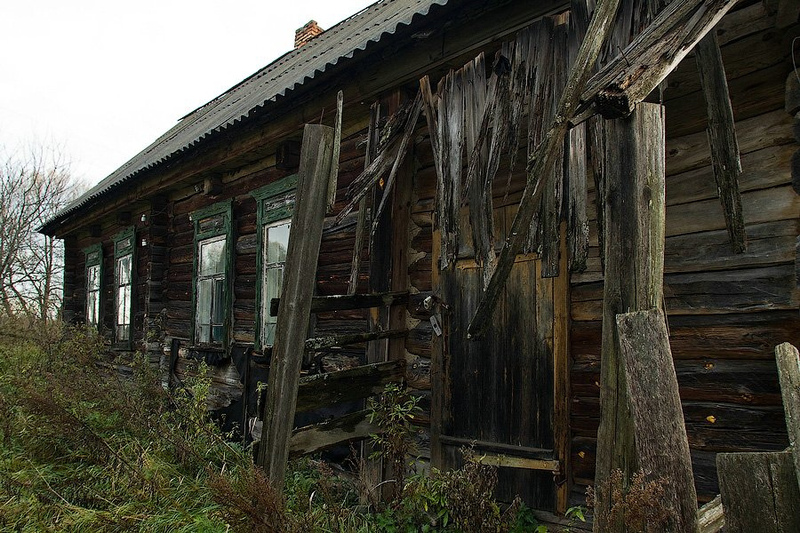 And also because both him and the Ethnographer belong to that young generation of Moscow bloggers which were organized into a community and awoke to their mission by the activity of the Arkhnadzor association founded for the protection of Moscow’s monuments, and particularly by the destruction of the Muromtsev dacha in January 2010. 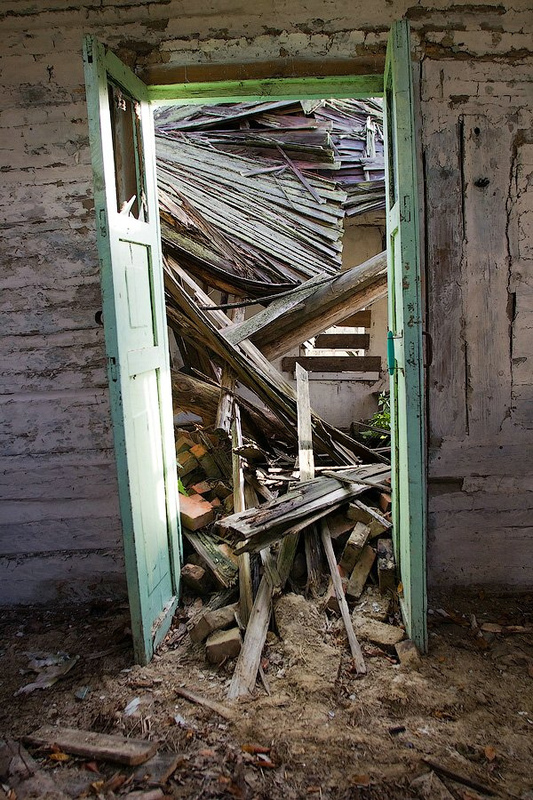 This is how something bad can result in good. 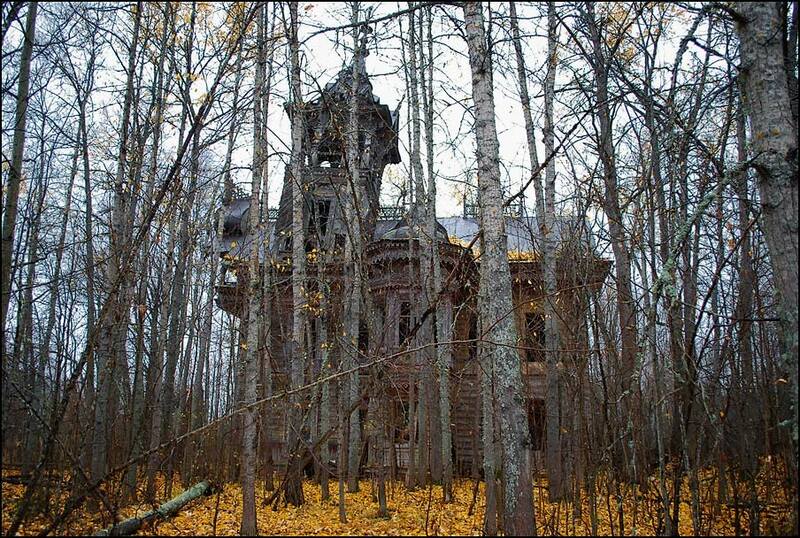 But about this more in the next post.